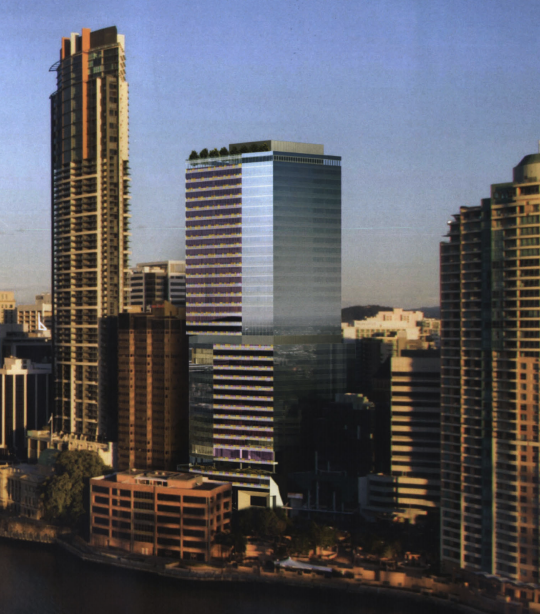 Proposed building by Grocon for the failed Trilogy site in Queen Street. Aurora Towers on the far left. The proposed building is not riverfront, but on the far side of the road from the river. Newspaper reports say that national law firm Freehills has agreed to rent the top 3 floors. I wonder if this building will get off the ground, or be like Trilogy Tower and never be built?